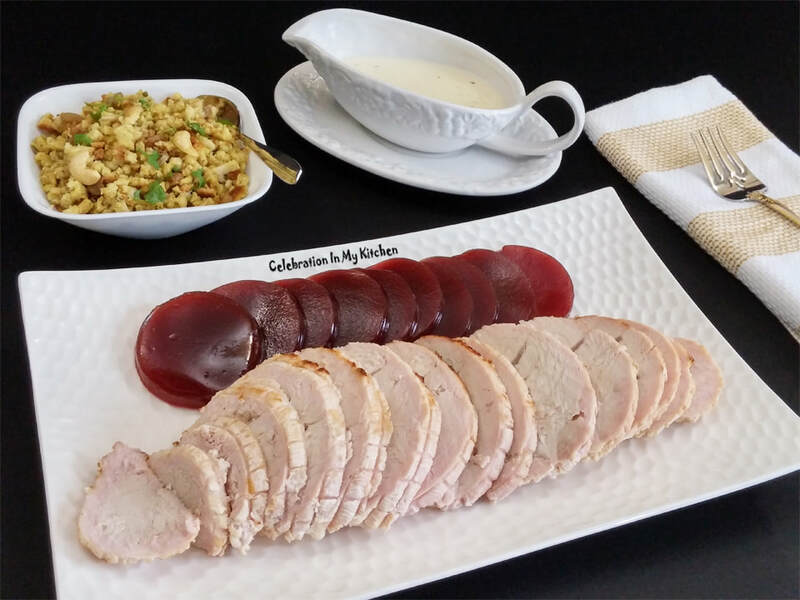 ​Instead of fussing over a whole turkey and wondering what to do with the leftovers next day, it is best to settle for a boneless turkey breast to grace any occasion. Moreover, each one can enjoy a couple of boneless slices or more. 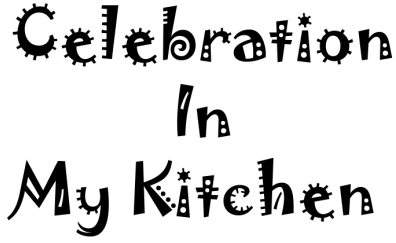 Easy to prepare with no hassles, goes directly from freezer to oven, giving you extra time to focus on other dishes. The boneless turkey breast comes packaged and readily available in supermarkets across North America. Plastic, wrapping the turkey is cut off and discarded. Netting holding the meat together is left on and the boneless turkey breast is roasted from frozen. 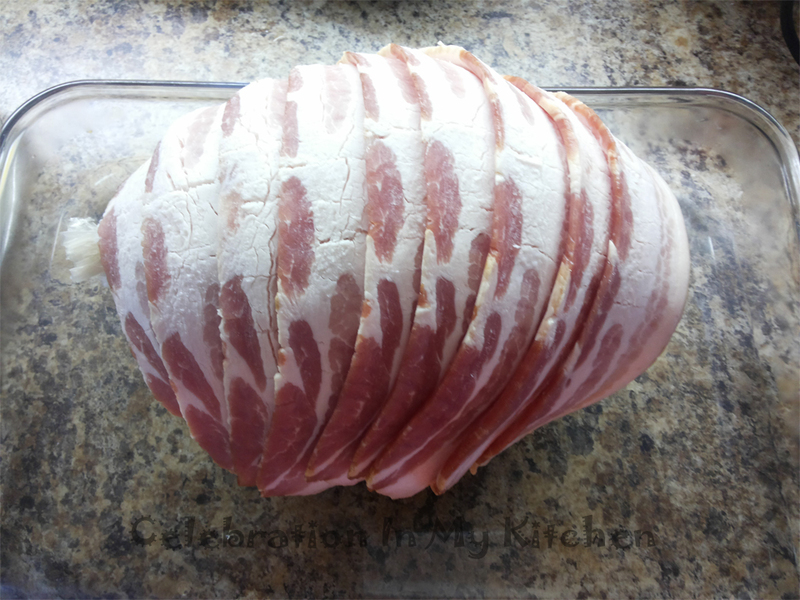 It is covered with bacon strips and cooked till an instant-read thermometer registers an internal temperature of 165 F or 74 C. Once out of the oven, the breast is loosely tented with an aluminum foil and allowed to rest before slicing. Served with gravy and jellied cranberry sauce, it is moist from the bacon fat, delectable, leaving you satisfied for a long period. 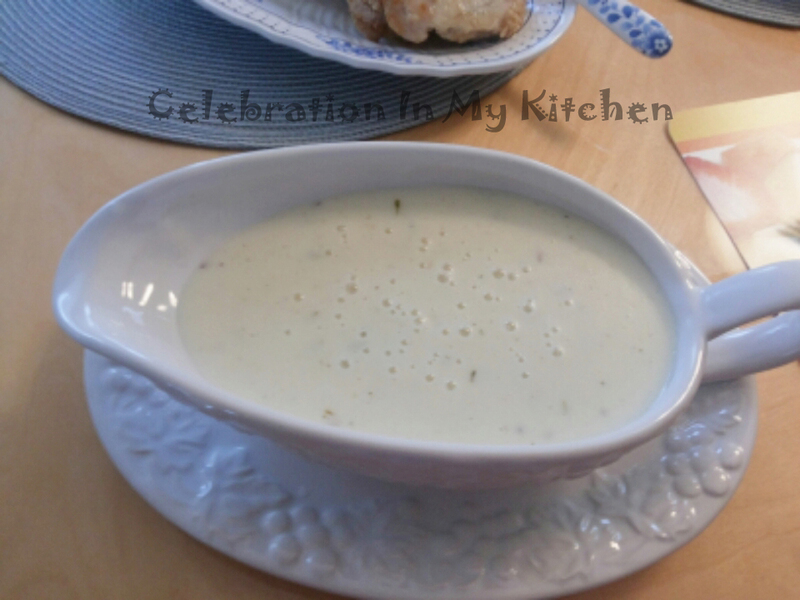 A family favourite and a main dish on our dining table for Thanksgiving and Christmas. Turkey is an excellent source of protein, low in fat (without the skin) and calories. It also contains iron, zinc, potassium, phosphorus and selenium. Lowers bad cholesterol and stabilizes insulin levels. It is loaded with tryptophan, a sleep-inducing amino acid, improving sleep quality. Overall, turkey is tasty with essential nutrients that are good for you. 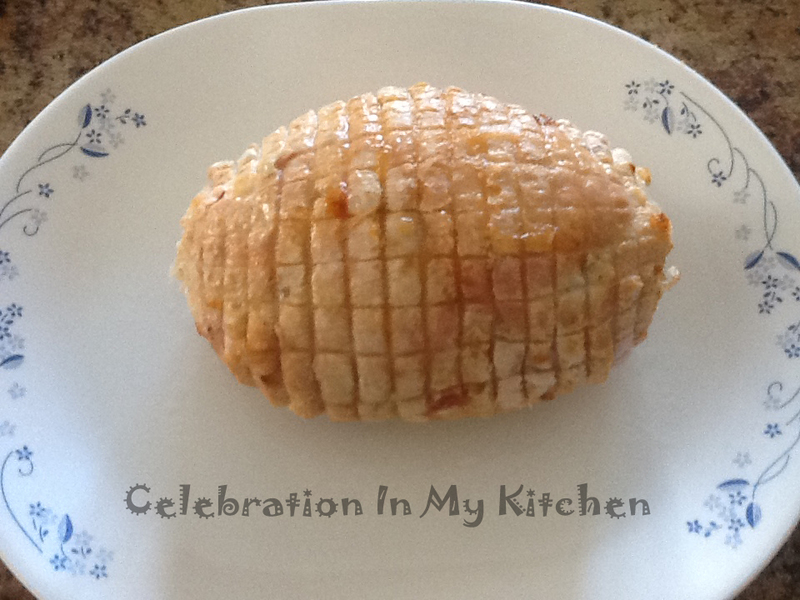 Place breast in a baking dish or on a rack in a shallow roasting pan. Add some water to the pan. This helps in keeping the meat moist. Cover the turkey breast with bacon strips. Roast for 2 1/2 to 3 hours or until an instant-read thermometer reads 165 F or 74 C. Tent loosely with an aluminum foil for 15 minutes. Snip off netting, slice into pieces and serve with gravy. Melt butter and sprinkle flour. Using a whisk, cook flour for a couple of minutes, then slowly mix in the drippings to avoid any lumps. Add the cream, thyme, season with pepper and salt. Simmer until the gravy thickens, then serve.